All our professionals maintain the highest levels of accreditation and pursue ongoing education to stay abreast of the latest trends in dentistry. The brief descriptions below are designed to familiarize you with our staff's training, professional credentials and work experience. James P. Zimmerman D.D.S., F.A.G.D. Dr. Zimmerman graduated from the University of Michigan with a bachelor’s degree in Psychology in 1981 and then from the Michigan School of Dentistry in 1986. His practice in Woodland was established in 1988. He is a member of the American Dental Association, California Dental Association, the Sacramento District Dental Society and the Woodland Chamber of Commerce. 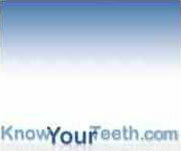 He is a Fellow in the Academy of General Dentistry and a member of the Computerized Dentistry of North America. since his practice was first established in 1988. Wendy graduated from Sacramento City College in May of 1998 with an associate’s degree in Dental Hygiene, and earned her Registered Dental Hygienist License that November. She has worked for Dr. Zimmerman since 2001. Both her father and grandfather were dentists. Wendy is also a member of the American Dental Hygiene Association. Brandy graduated from the Western Career College Dental Assisting program in January 1995. She earned her registered Dental Assistant license that summer. Brandy has been a practicing RDA for over 15 years, and joined Dr. Zimmerman’s team in December 2006. Tina has been with Dr. Zimmerman’s since August of 1999. She is one of the first people you encounter when entering our dental office. Tina works closely with our patients coordinating and scheduling their treatment, as well as identifying their financial coverage and costs. Continuing education courses keep Tina informed and up to date on the latest technology, rules, and regulations that benefit both our patients and our office. Connie grew up in Oklahoma and raised her family in South Carolina. She moved to California in 2000, where she completed her education. She graduated in 2006 from Sacramento City College with an associate of science degree in dental hygiene. She earned her California registered dental hygiene license in September 2006. She also earned her Washington registered dental hygiene license in 2009. Connie joined Dr. Zimmerman’s team in August, 2009. Gwen graduated from Western Career College in 1995 and received her RDA license in that same year. She has worked in both General and Orthodontic dentistry. She earned her RDAEF license from Sacramento City College in 2013. Gwen joined Dr. Zimmerman’s practice in 2016.